Fans are bracing themselves for the eighth and final season of HBO’s hit show Game of Thrones, which premieres April 14, 2019. For "Thronies" that want a truly transportive experience, however, a visit to one of these destinations featured in the fantasy drama —a mix of historic sites, vibrant cities, and wondrous landscapes—is a direct portal into the compelling, fictional world of Westeros. Set against the Adriatic Sea, Dubrovnik, in Southern Croatia, is famed for its Old Town encircled in 16th-century stone walls. 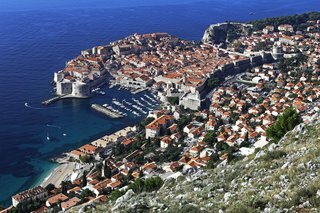 With its well-preserved, 16th-century stone walls, houses flaunting orange-hued roofs, and the glorious Adriatic Sea at its feet (known as Blackwater Bay in the series) Dubrovnik is the perfect stand-in for King’s Landing. Wander the quaint streets of the city’s Old Town, a UNESCO World Heritage Site packed with baroque buildings, and look out for memorable Game of Thrones locales. For example, there’s Ploče Gate, aka Red Keep Gate, and St. Dominic Street, where most market scenes unfolded. The sweeping Jesuit Staircase, connecting Gundulić Square with St. Ignatius church, calls to mind Cersei Lannister’s atonement-seeking walk of shame. 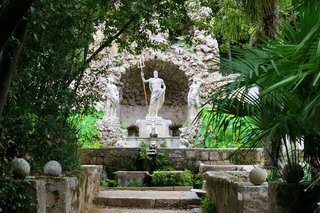 Trsteno Arboretum in Trsteno, Croatia—close to Dubrovnik—dates from the 15th century. There is much to keep visitors entranced in Dubrovnik, but don’t overlook a 30-minute jaunt to Trsteno. Spend a morning here roaming around the date palms and bougainvillea on the grounds of Trsteno Arboretum, a lush botanical garden built in the 15th century by the noble Gozze family as a summer residence. Despite its significant damage during the Croatian War of Independence, the arboretum’s duo of massive Oriental Planes survived. Along with these ancient trees, there is a collection of plant life that encompasses more than 400 species to peruse, and a gazebo that ensures impressive glimpses of the Adriatic. Game of Thrones viewers will recognize this architectural relic as the gardens at King’s Landing, where much conniving took place amid the statues and greenery. 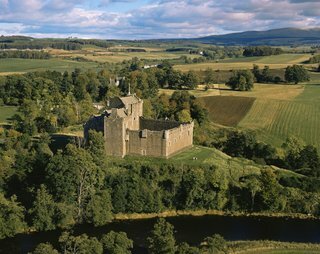 Medieval-era Doune Castle lies northwest of Stirling, in central Scotland. Built in the 14th century for the Regent Albany, imposing Doune Castle often gets the film and television treatment, making appearances in the likes of Monty Python and the Holy Grail and Outlander. On Game of Thrones, this medieval structure and its 100-foot-high gatehouse in central Scotland’s Stirling district fittingly becomes one of the sets for Winterfell. It’s also a choice, pastoral lookout onto the River Teith and Ben Lomond. Beyond the stone courtyard, its interiors are remarkable, too, featuring the Lord’s Hall, with a double fireplace and carved oak screen. Descend into the steep tunnel for a gander at the cellar. Downhill Strand in County Londonderry, Northern Ireland. Mussenden Temple is perched on cliffs above the beach. A seven-mile stretch of scenic, quiet beach, Downhill Strand doubled as Dragonstone in Game of Thrones, where the Seven Idols of Westeros were burned and Melisandre declared, "For the night is dark and full of terrors." 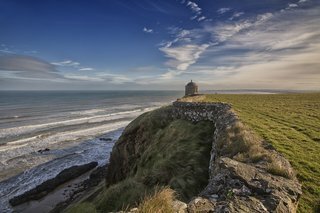 With views onto Counties Donegal, Antrim, and Londonderry, Downhill Strand is a calming spot for nature walks and peeping at sand dunes. Dramatically situated on the edge of a 120-foot cliff above is the circular-shaped Mussenden Temple. Built in the late 18th century as a summer library for Frederick Augustus Hervey, Bishop of Derry, and Earl of Bristol, its architecture channels the Temple of Vesta in Tivoli, Italy. The Dark Hedges, an iconic bevy of beech trees located in County Antrim, Northern Ireland. In the 18th century, the Stuart family’s vast collection of beech trees symbolized an elegant entrance to Gracehill House, their Georgian mansion in County Antrim. 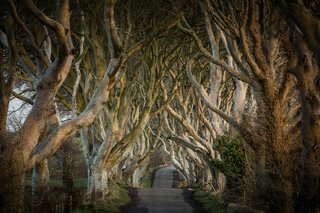 Equal parts picturesque and brooding, the landscape remains one of Northern Ireland’s most coveted attractions, its twisted branches forming an arch over the hushed avenue. Bregagh Road morphs into the King’s Road in Game of Thrones, part of Arya Stark’s escape plan when she flees King’s Landing disguised as a boy. Wood from a few of the Dark Hedges’ storm-felled trees was fashioned into 10 intricate doors that pay homage to scenes from the show. They are on display in cozy pubs throughout the country, including one depicting the Three-Eyed Raven and the direwolf sigil at Gracehill House, now a golf club, restaurant, and bar conveniently found on the Dark Hedges Estate. Mdina is a fortified city in Malta that once served as the island's capital. During the first season of Game of Thrones, sunny Mdina was the backdrop for King’s Landing. A walled city tracing its roots back over 4,000 years, it once served as Malta’s capital. Its entrance gate is spotted, for instance, when Ned Stark bids adieu to Catelyn Stark, and the relaxing, pretty Mesquita Square is where Jaime Lannister and his men attacked Ned. 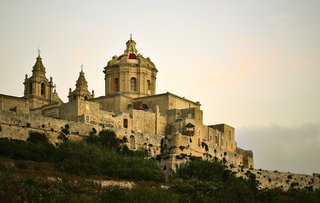 Often dubbed the "the silent city," Mdina is a showcase of notable medieval and baroque architecture. A quick drive away is the 17th-century San Anton Palace, now the residence and office of the President of Malta, where its courtyard is portrayed on screen as the Red Keep stables. Although its staterooms are rarely open to the public, the palace’s lovely gardens, strewn with sculptures and ponds, is well worth visiting. Fort Manoel on Manoel Island in Gżira, Malta, was first built by the Knights in 1723. 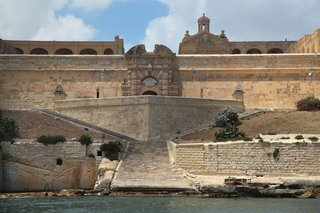 Originally built by the Knights in 1723 to protect Valletta’s north-facing bastions from artillery, Fort Manoel, on Manoel Island in Gżira, Malta, was badly damaged during World War II. The square-shaped structure with a quartet of corner bastions appears on Game of Thrones as the Faith of the Seven’s center of religious worship, the Great Sept of Baelor. Thanks to a restoration by the developers Midi plc, the baroque fort once again mesmerizes. It’s open to the public only on certain days, so plan ahead for the full tour. A former fort, Real Alcázar of Seville is a royal palace in Seville, Spain. The bright, colorful Water Gardens of Dorne, a lively contrast to Game of Thrones’ often muted sets, was filmed at Real Alcázar in Seville. Time spent in this royal palace, built in 913 for the Christian king Peter Castile on a former Abbadid Muslim fortress, is as essential as embarking on tapas crawls and taking in flamenco performances. Melding Renaissance and Moorish Revival styles of architecture, Real Alcázar teems with treasures, including 18th-century Flemish tapestries, ceramic tiles, and decorative wooden ceilings with interlaced beams. Linger outdoors, where the grounds are dotted with fountains, pavilions, arches, and a labyrinth of greenery. Castillo de Almodóvar del Río in Almodóvar del Río, located in Spain's Córdoba province, is of Moorish Berber origin. 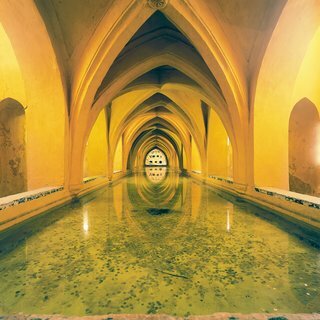 Castillo de Almodóvar del Río, in Andalusia’s Córdoba province, looks like it was yanked straight out of a Spanish fairy tale. 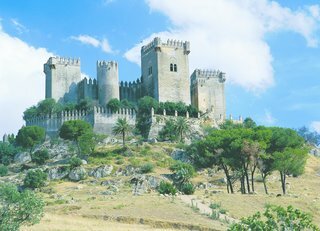 An arresting 8th-century castle of Moorish Berber origin, it sits atop La Floresta hill, and its architecture reflects both its Islamic and Christian heritage. At turns, it has given life to House Lannister’s Casterly Rock and Highgarden, the Tyrell homestead, in Game of Thrones. History geeks will especially relish the castle’s kitschy perks, like medieval-inspired lunches and combat training sessions. 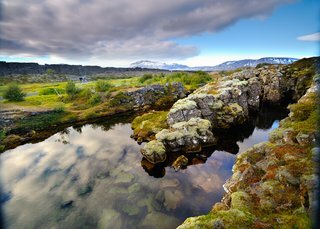 Just a short excursion east of Reykjavik, Thingvellir National Park is one of Iceland's natural treasures. Thingvellir National Park, also known as the pass to Eyrie in Game of Thrones—where Brienne and the Hound battled, for instance—plays a pivotal role in Iceland’s political history. It was here that the Vikings assembled the world’s oldest existing Parliament in 930 A.D. Its distinctive geological identity, shaped by its location in a fissured rift valley, is just as celebrated. Less than an hour’s drive east from Reykjavik, the UNESCO World Heritage Site is a hiker’s dream, fueled by natural beauties like the waterfall Öxarárfoss. For a full-on rural escape from the capital’s vibrancy, spend the night in the nearby ION Luxury Adventure Hotel, a modernist, eco-friendly property raised on stilts and set against a glacier. Near to Lake Mývatn, in north Iceland, Grjótagjá is a small lava cave flaunting a thermal spring. Jón Markússon, an ostracized 18th-century criminal, once hid out in Grjótagjá, a small lava cave near Lake Mývatn. Later, locals embraced its rejuvenating hot spring for decades. After a series of volcanic eruptions in the 1970s, this clamored-for bathing ritual became verboten, but Grjótagjá is so astounding a sight that it is still sought out—even it only means dipping one’s feet into the water while gawking. 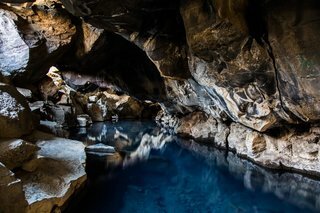 Appropriately, this dreamy, mythical cave was the hideaway for Jon Snow and Ygritte’s amorous romp.